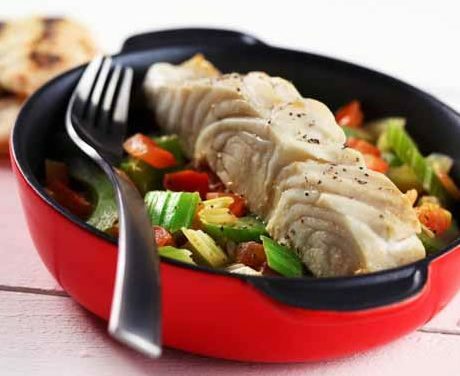 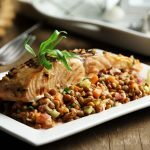 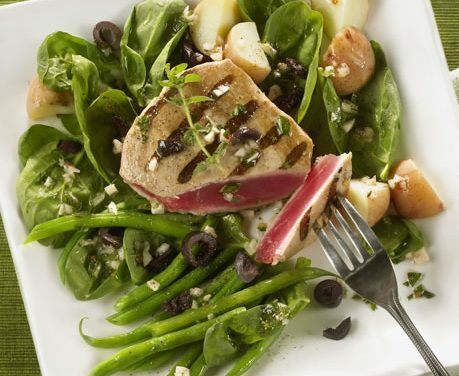 Browse seafood recipes for main dishes, complete with nutritional information for easier diabetic meal planning. 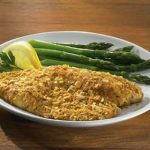 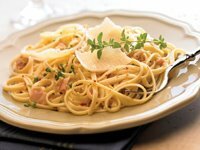 You’ll find hundreds of recipes for a variety of fish and shellfish, including Bass, Cod, Crab, Haddock, Shrimp, Walleye and more. 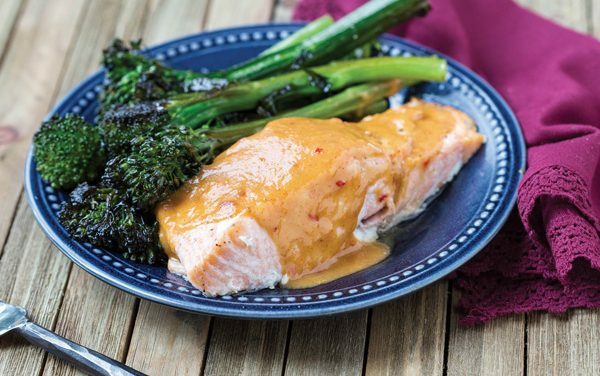 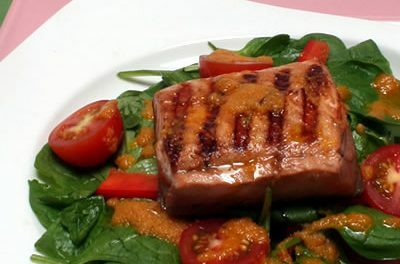 Recipe for Salmon with Peanut Butter Sauce from the Diabetic Gourmet Magazine recipe archive. 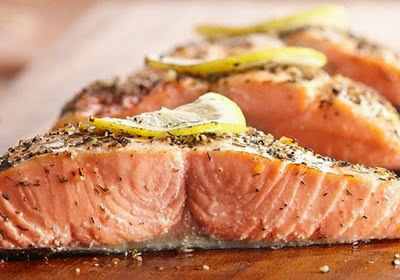 Easy main dish salmon recipe, perfect for dinner. 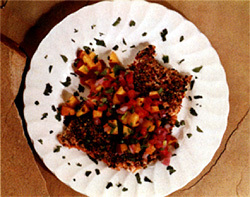 Recipe for Cumin-Crusted Fish Fillet with Lemon from our Seafood recipe section. 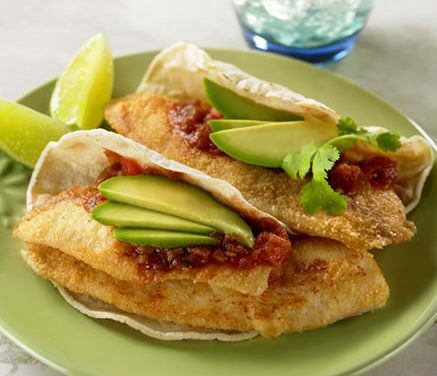 This graham cracker coated cod can be on your dinner table in just 25 minutes. 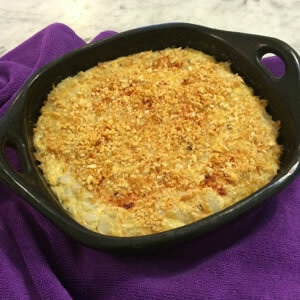 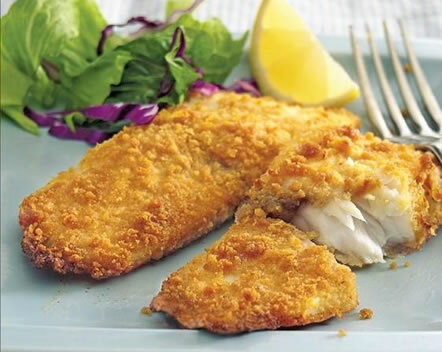 Recipe for Graham-Cracker Crusted Cod from our Main Dishes recipe section. 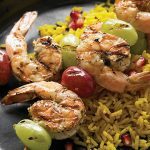 Fresh lemon grass skewers add a fragrant citrus note to halibut. 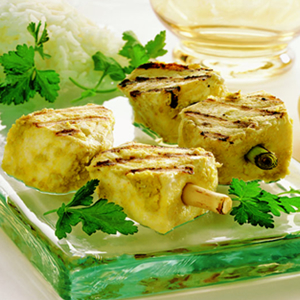 Recipe for Thai-Style Halibut on Lemon Grass Skewers from our Main Dishes recipe section. 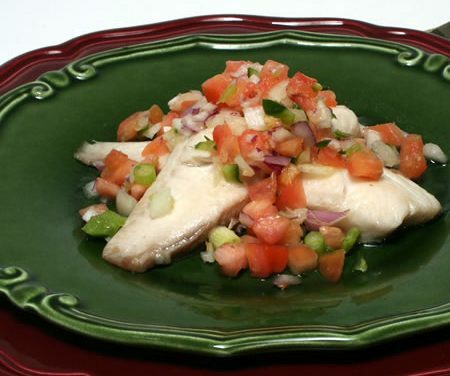 Halibut is often called the steak of the fish family due to its thickness and texture. 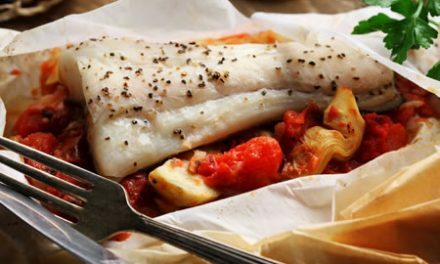 See how this meaty, flaky white fish gets spiced up in sweet and savory ways. 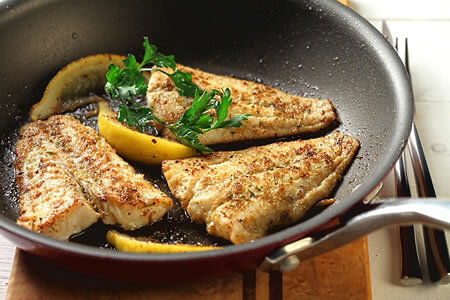 Recipe for Moroccan-Style Spiced Halibut with Grilled Flatbread from our Main Dishes recipe section. 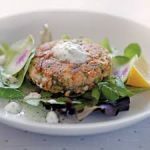 Fish and Shellfish – What’s The Difference?